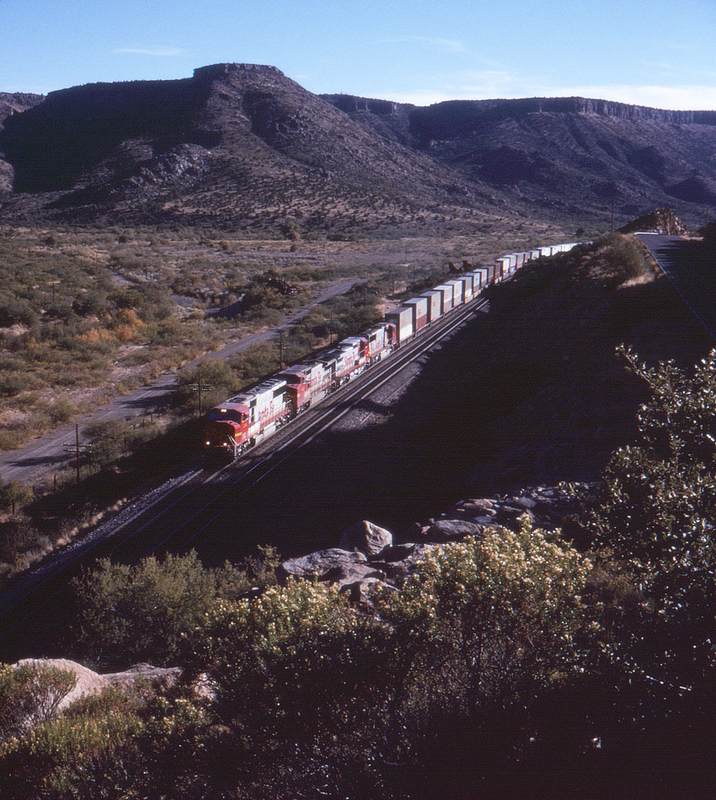 Another Santa Fe freight, eastbound this time, approaches Crozier Canyon with no less than four warbonnet units on the head end. This time it looks like doublestacks are in command. Old Route 66 can be just seen at the far right.